“And upon the first day of the week, when the disciples came together to break bread, Paul preached unto them, ready to depart on the morrow; and continued his speech until midnight” (Acts 20:7). Note the time: the first day of the week. Note the purpose: to break bread (the Lord’s supper, 1 Corinthians 10:16–17; 11:17–34). Sunday was quickly established as a meeting day for Christians, a day in which they partook of the Lord’s supper. And is it any wonder? This was the day of the resurrection of Jesus from the dead! The day when Jesus was declared to be the Son of God (Romans 1:4). The day when he met with his disciples. John not only tells about the Sunday resurrection day, but also another such meeting with his disciples on the very next Sunday (John 20:1, 19, 26). Sunday came to have such special significance that John referred to it as “the Lord’s day” (Revelation 1:10). That is not to say that Christians did not meet together at other times. They did. Even daily (Acts 2:46). 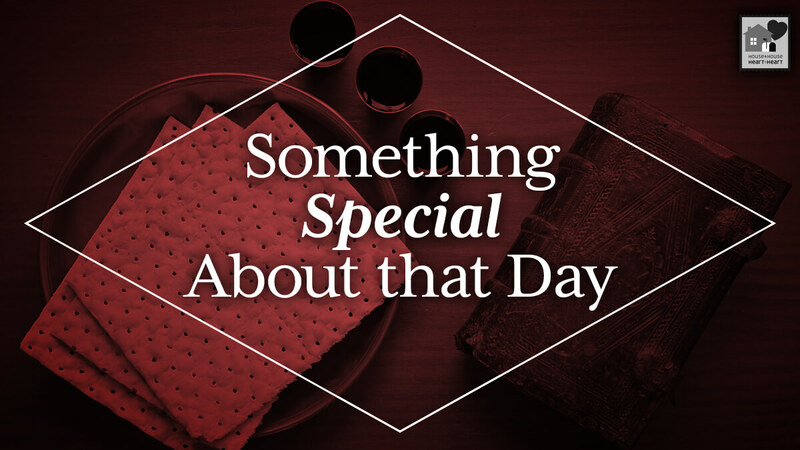 But the first day of the week was special—a day when they “gathered together to break bread” (to keep the Lord’s supper). Some contend, based on Acts 2:46 (“They, continuing daily with one accord in the temple, and breaking bread from house to house, did eat their meat with gladness and singleness of heart”), that early Christians partook of communion every day. Read another translation: “Day by day, attending the temple together and breaking bread in their homes, they partook of food with glad and generous hearts.” Does that sound like the Lord’s supper to you? In this context it hardly seems like the same kind of “breaking bread” we read about in Acts 2:42. Scripture and history combine in teaching that Christians met on Sunday to partake of the Lord’s supper.